For years we were encouraged by the government and the food industry to choose so-called “heart-healthy” vegetable oils and to avoid traditional saturated fats. We were trained by the medical establishment to use vegetable oils including corn, safflower, soybean and canola. Butter was labeled “fattening” and bad for us and we were given margarine as a “healthy” alternative. The traditional saturated fats—fats like our parents and grandparents had used such as lard, butter and coconut oil—were vilified. They warned eating them would cause high cholesterol, clogged arteries and heart disease. The experts insisted we skip the saturated fat and eat more polyunsaturated fatty acids (PUFAs)—especially omega 6 fats—instead. Vegetable oils were even pushed by advisory groups we trusted, including The American Heart Association, the National Education Cholesterol Program and the National Institutes of Health. Many well-respected scientists and our doctors told us to stop using saturated fats and use the polyunsaturated fats instead. Fast forward to today and you’ll find a ton of these tasteless, clear, highly-refined processed oils lining our grocery store shelves. You can choose from a seemingly endless variety of safflower, soybean, sunflower, corn and canola oils. It’s just too bad they all couldn’t have been more wrong. In fact, they’re the one kind of oil you should NEVER eat because vegetable oils are highly unstable and highly inflammatory. If you’re confused about fats you’re far from alone. The experts don’t seem to be able to agree… even with themselves. Take Dr. Dariush Mozaffarian from Tufts University for example. In a 2010 review he concluded that there’s a clear benefit from cutting out saturated fats and increasing our intake of PUFAs. But then just four years later he did an about face. Suddenly, after reviewing 72 studies Dr. Mozaffarian declared there weren’t any benefits from slashing saturated fats or increasing PUFAs, except for omega 3 fats. Is it any wonder we’re so confused? If the experts can’t even agree and they change their perspective every few years, what are the rest of us to do? Well, allow me to slice through this confusion. The idea that vegetable oils are better for us than saturated fats (like butter and lard) is built on the belief that they lower total and LDL cholesterol, so they presumably reduce our overall risk of heart disease. This means, of course, that we’re supposed to trade in our butter, meat, and lard for omega 6-rich, inflammatory polyunsaturated fats such as you’ll find found in those safflower, canola, sunflower, corn and soybean oils. Yet if we look at human history, we used to eat much more omega 3 fat and much less omega 6 fat than we do today, since wild foods are very rich in omega 3 fats. The main source of omega 3’s today is fish, yet wild game and wild plants, which are very high in omega 3s, used to be a much bigger part of our diet. Wild meat and grass-fed beef contain about 7 times as much omega 3 fats as industrially raised animals, which have almost none. Virtually all of the beef and animal products your great grandparents ate were pasture-raised, organic, grass-fed, and contained no hormones or antibiotics. There was simply no other kind of meat to eat. 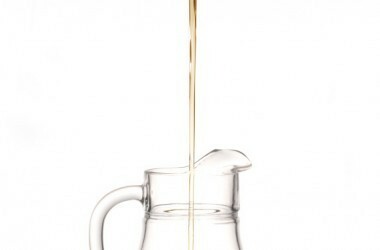 Introducing refined oils into our diet and moving away from grass-fed and wild animals increased our omega 6 fat intake. Corn, soy, cottonseed, and canola oils skyrocketed, while omega 3 fats have dramatically declined. In that surge, many Americans sadly became deficient in these essential omega 3 fats. Omega 6 fats not only fuel your body’s inflammatory pathways, but also reduce availability of anti-inflammatory omega 3 fats in your tissues, resulting in more inflammation. In other words, omega 6 fats undo any benefit eating omega 3s would normally give you. They also reduce conversion of plant-based omega 3 fats (called alpha-linolenic acid or ALA) into the active forms of omega 3s called EPA and DHA by about 40 percent. Eating too many omega 6 fats also increases the likelihood of inflammatory diseases and links to mental illness, suicide, and homicide. In fact, studies have shown a connection of mental health with inflammation in the brain. Clearly a diet high in omega 6 fats is not ideal for optimal health. We can’t blame ourselves for this catastrophe. 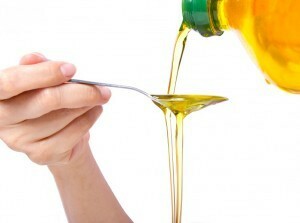 Most of us were taught to use these refined oils at a young age. Unfortunately, this has resulted in the worst epidemic of chronic disease in history, with global explosions of heart disease, type 2 diabetes, and obesity (or what I call diabesity), and cancer. Bottom line: We’ve got to move away from these inflammatory fats. My book, Eat Fat, Get Thin, uproots the lies we’ve been told about oils and fats, defining which foods cause disease and illness. I’ve created a plan that helps you achieve optimal health while providing you with studies and research to prove that certain foods, which have been long demonized, do belong in our diet. Has your perception of fat changed since learning about which fats are healthy and which fats you should avoid? Do you have a success story you want to share if you’ve switched from a high omega 6 fat intake to more omega 3s? Share your story below. “Saturated Fat and Cardiometabolic Risk Factors, Coronary Heart Disease, Stroke, and Diabetes: a Fresh Look at the Evidence,” Lipids. 2010 Oct; 45(10): 893–905. “Elevated immune-inflammatory signaling in mood disorders: a new therapeutic target?,” Expert Rev Neurother. Author manuscript; available in PMC 2013 Jul 1.